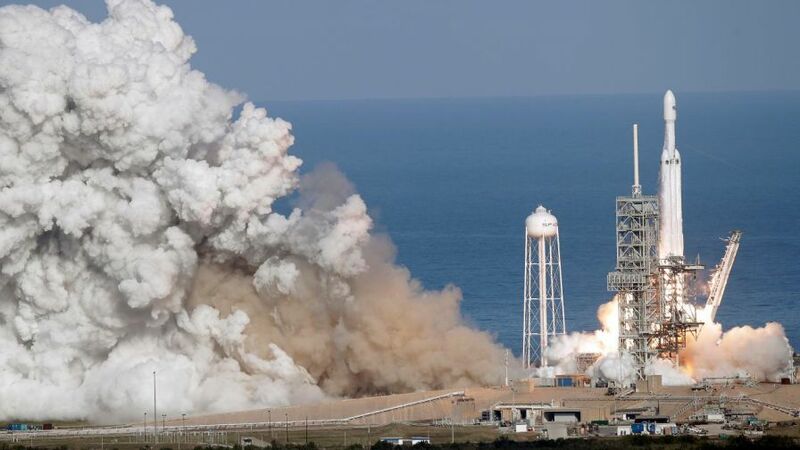 Elon Musk's SpaceX has become the first privately owned organization to launch the most powerful rocket presently in service around the world after its debut flight from LC-39A (a historic Apollo-era launchpad) at the Kennedy Space Center on Tuesday, 6 February. The launch is considered as a big step for space travel and exploration, in a variety of ways. The rocket carried a symbolic payload — Tesla Roadster (midnight cherry color), an electric sports car which was owned by Musk. 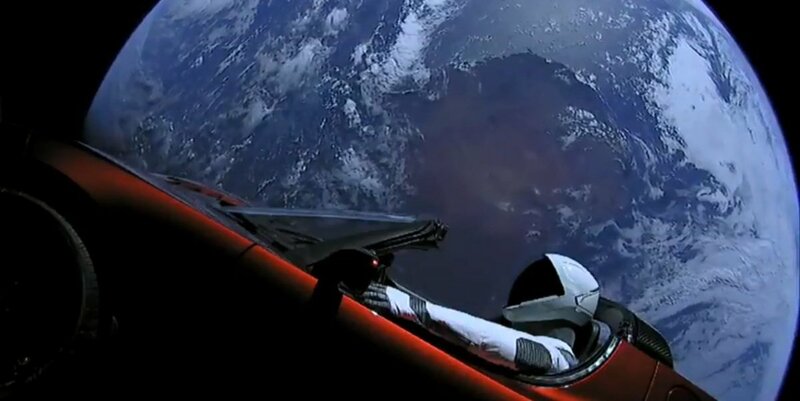 Strapped inside the car is a dummy named "Starman" in the driver's seat wearing one of SpaceX’s spacesuits and the radio set to play a David Bowie soundtrack “Life on Mars” on a loop. The car and its passenger have been dispatched into an elliptical orbit around the Sun that reaches out as far as the planet Mars. Just before launch, the company revealed on its live stream that inside the unique cargo of a Tesla Roadster, the company had placed an “Arch” storage system containing Isaac Asimov’s Foundation book series. Two of Falcon Heavy's boosters roared back to NASA's Kennedy Space Center in Florida after the launch, landing simultaneously on concrete pads. The third — the central core of the rocket — attempted to land at a drone ship off the coast of Florida, but Musk said initial data shows the booster hit the ocean "at around 200 miles per hour" about a football field away from the ship, "showering the [ship's] deck with shrapnel." Falcon Heavy (FH) is a reusable super heavy-lift launch vehicle (propelled by 27 Merlin rocket engines) designed and manufactured by SpaceX. The Falcon Heavy (previously known as the Falcon 9 Heavy) is a variant of the Falcon 9 vehicle and consists of a strengthened Falcon 9 rocket core with two additional Falcon 9 first stages as strap-on boosters. 37,040 lbs (16,800 kg) to Mars. FH is the world's highest capacity rocket in operation as of February 6, 2018, superseding the Delta IV Heavy payload to LEO by a factor of more than two — at a fraction of the cost. Elon Musk established Space Exploration Technologies Corp., a.k.a SpaceX in the year 2002. It has since developed the Falcon launch vehicle family and the Dragon spacecraft family, both of which currently deliver payloads into Earth's orbit. Last year, SpaceX pulled off a record 18 launches becoming one of the world's most valuable private technology companies. SpaceX also plans on bringing down the cost of future space missions by using reusable rockets for multiple launches. In the month of February 2017, Musk stated that the company would make two space tourism trips to moon's surface sometime in the year 2018. This would be the first mission to space with humans onboard for the purpose of tourism. The long-term goals for SpaceX are to colonize Mars by conducting a manned mission to the "Red Planet".